Who Is Affected by the Supreme Court’s Ruling on Immigration Reform? This June the Supreme Court reached a ruling on President Obama’s immigration plan. The Deferred Action for Parents of Americans (DAPA) executive order proposed a temporary reprieve from deportation for undocumented immigrants who have resided in the United States since 2010 and have a child who is a citizen or a lawful permanent resident. The executive order also expanded Deferred Action for Childhood Arrivals, broadening the scope of immigrant children eligible for relief. On June 23, 2016 the Supreme Court reached a 4-4 deadlock, effectively blocking Obama’s executive order by leaving in place a decision of the lower federal appeals court. The Supreme Court’s ruling affects as many as 5 million immigrants currently residing in the U.S. Undocumented immigrants whose legal status hung in the balance are now unable to seek relief from deportation. According to the Migration Policy Institute, 3.6 million people living in the U.S. are undocumented parents of underaged legal permanent residents or U.S. citizens. In all, approximately 10 million people, including legal immigrants, undocumented immigrants, and lawful citizens, live in households affected by the Supreme Court’s ruling. In addition to providing temporary relief from deportation for parents of lawful residents, the plan proposed expanded deferred action for undocumented immigrants who were brought to this country as children, but were not eligible for relief under a 2012 executive action. Immigrants protected by the 2012 action are not affected by the 2016 Supreme Court ruling. Are You Affected by Obama’s Blocked Immigration Plan? The President’s executive orders would have made it possible for qualifying immigrants to seek a reprieve from deportation, as well as legally authorizing undocumented immigrants to work as long as they paid taxes. The Supreme Court decision leaves the fate of millions of immigrants up in the air, with no clear legislative or executive plan to allow them to continue to stay in our country, contribute to our economy, and pay their fair share of taxes. 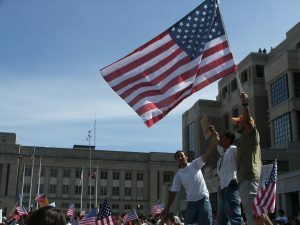 The attorneys of Brownstein & Nguyen law offices have decades of experience dealing with complicated immigration cases. For legal advice or assistance on immigration law in Atlanta, please contact our offices.